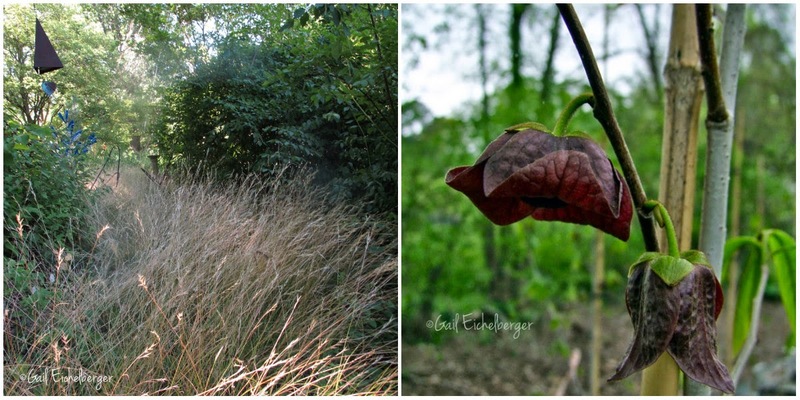 clay and limestone: Wildflower Wednesday: Fifth Anniversary! I can hardly believe that 5 years have passed since the first Wildflower Wednesday meme post. I want to thank each of you for joining me on my continuing journey to create the best wildlife garden possible. At first I wasn't sure what I wanted to do to celebrate this anniversary and then it occurred to me that I could share that first official Wildflower Wednesday post with some updated text and photos. So that's what I've done. If you like you can link back to earlier Wildflower Wednesday posts by clicking on the plant name. Here it is~a trip back in time to February 2010, with a bit a lot of tweaking! Almost thirty years ago we moved to what has since been christened Clay and Limestone Garden. Long time readers know that the relationship between gardener and garden has been a passionate affair, filled with moments of deep love and equally deep despair. Even in the face of over whelming evidence that wildflowers naturally occurred and thrived here, I tried to create an English cottage garden, a Mediterranean garden and a New England woodland. They were failures and I despaired that there would ever be a garden. In my haste to create these idealized dream gardens I had over looked the native ex-asters, mistflower, columbines, trout lilies, trilliums, mayapples, downy woodmint, Blue-eyed grass, False garlic, penstemons, dicentras and a host of other beauties that were already growing here. It was a wonderful day when I stumbled upon Thomas Hemmerly's Wildflowers Of The Central South. I've never had the honor of meeting Dr Hemmerly*, but, he became my garden mentor and helped me understand and appreciate the special native plants that grow in Middle Tennessee. He introduced me to concepts that were important to know if I were to have any success at gardening. I learned that Middle Tennessee was part of the Central Basin, that it has very interesting wildflowers that grew nowhere else, and that the rock in my garden is an Ordovician limestone bedrock overlain with thin soil. I finally understood that plants have to be rugged to survive in my garden and that planting native wildflowers made the most sense, after all, they had evolved and adapted to our wet winters and dry summers. Once my eyes were opened, it was easy to see that on the edges of the garden, beyond, the weedy lawn, were wonderful wildflowers and abundant wildlife. My head and heart were quickly filled with all things wildflower. I devoured articles about native plants, visited cedar glades, read botany articles and every book I could lay my hands on that discussed gardening in the Central Basin. Before long, it became clear to me and my gardening friends, that wildflowers had become my garden soul mates. Of course, when you have a relationship like that you want to share it with the world! Wildflower Wednesday started out as a regular post to celebrate the wildflowers in my garden. I was hoping that there were other gardeners who also felt that wildflowers were special and wanted to share them. There are and you're all delightful. Many years later~I've met wonderful gardeners, made new friends, learned to write a little bit better, and have learned a few valuable gardening lessons. If there's one thing I would like to pass along to new gardeners, it's this: What ever you do, don't fight your garden's unique characteristics or ignore its plant communities. Embrace them. If your garden is rocky, sandy, slow draining, fast draining, acidic or alkaline, a desert, a cold climate or even tropical, what ever climate, where ever in the world, there are native wildflowers, shrubs and trees that will be perfect for your garden. They will not only survive, they will thrive. Trust me, you will be a happier person and have greater success at gardening. 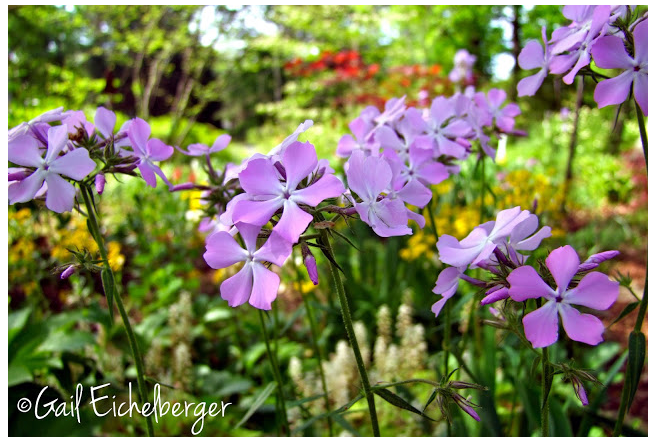 Finally, here's my promise to you~ If you plant wildflowers the critters will come! Your garden will be filled with buzzing bees, singing birds, fascinating insects and spiders and fluttering butterflies. You'll also be a host to snakes, raccoons, squirrels, turtles, chipmunks, hawks, owls, and rascally rabbits and who knows what else! Native wildflowers are good for the earth and good for its inhabitants. Now kick up your heels and dance with The Dancing Tree! Happy anniversary to all of you and let's continue celebrating our wildflowers. Wildflower Wednesday is about sharing wildflowers and other native plants no matter where one gardens~the UK, tropical Florida, Europe, Australia, Africa, South America, India or the coldest reaches of Canada. It doesn't matter if we sometimes share the same plants. How they grow and thrive in your garden is what matters most. I hope you join the celebration..It's always the fourth Wednesday of the month! *BTW, I have finally gotten to meet Dr Hemmerly! Five years of celebrating wild flowers, well done! I've been Wildflower Wednesdaying since January 2011. Still with you as we now garden for biodiversity on False Bay. This, third of our gardens, I will be inspired by the wild flowers I see on the sand dunes near the sea and up on the mountain in the Silvermine reserve. So many delights to enjoy and the Kirstenbosch plant sale in April!! Congratulations and more power! I link here just once-in-a while but i certainly appreciate having this meme. I also get a lot of information. I also thought I would look back and found I started to join in on February 2011. That was a surprise....you have inspired me Gail, and I have learned so much from you and others who join in....it is a journey I have never looked back from....and I plan to continue to add more wild flowers every year. Thank you and the wild flowers thank you....and the bees, butterflies, rabbits.....well you know! A very Happy Anniversary, Gail! I must echo what Donna said--you have been an inspiration to me, Gail, and have encouraged me not only to learn more about natives/wildflowers, but also to include more of them in my garden. I looked back, and I think my first posting for WW was in July 2010. I don't always participate, especially when photos are a little thin in the winter, but I always check to see what is new here each month. Instead of focusing just on wildflowers this month, I am sharing some info from a panel discussion on pollinators I attended in January. It was an encouraging day to see so many people interested in helping the bees! Awesome post, Gail! Happy anniversary to WW! I started noticing it, but didn't pay attention that it was just once a month, so my first post was April 7, 2010. LOL After that, I got with the program, and while I have not gotten posts together for all of them, I have been there for most of them. I am working on one now, and will get it finished soon. Congratulations!! I don't join in very often, but I love stopping by, and I share your love for wildflowers & plants that naturally thrive in your environment. Happy Anniversary! Thank you for sharing these breathtaking photos. Congratulations on five years of celebrating wildflowers. This is a great monthly meme. I'm celebrating your five years with my first post for the meme, Gail :) I really enjoyed reading about your adventures and look forward to seeing more...! Hi Gail, what a lovely celebration of our native plants. I see a couple in your garden that I don't have. It's much harder to create a native garden than it is to just drop by a local garden center and select hybrids. My garden is a combination of both. I choose what I love and many of those plants I love are native. 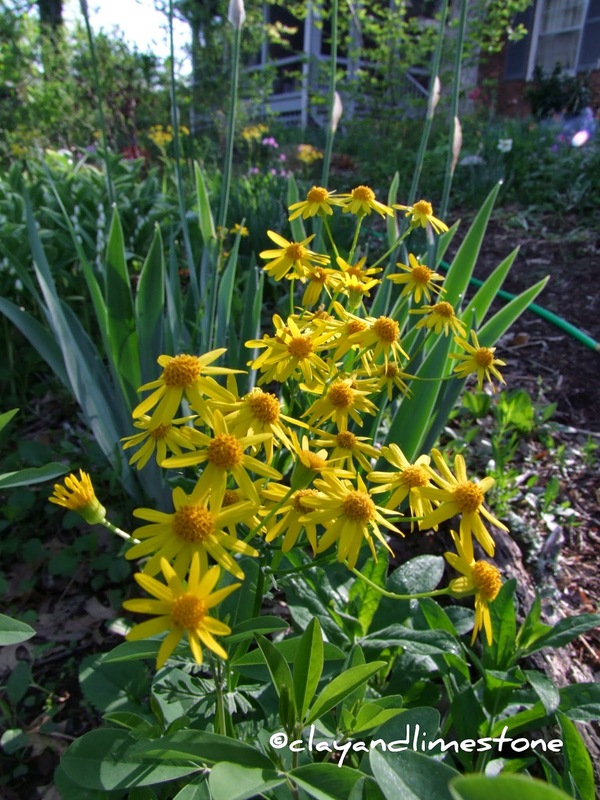 Wouldn't it be great if there were more local vendors that supplied native plants? OMG, I love that ex-aster shot with the bees! It makes me laugh. And I had no idea the blackhaws were so pink. Thanks for continuing this (though I don't participate much!). My heartiest congratulations, Gail. Congratulations on five years of wildflower commitment...well, I know it has been a lifetime commitment but your posts have educated, informed and entertained. I love seeing these garden jewels. Keep writing dear Gail. Sometimes it's a challenge to find a new native plant to write about--like now, when everything's under snow! But I've appreciated the challenge, although I decided to skip this month. Congratulations on your fifth anniversary, and I'd like to hear more about your meeting with Dr. Hemmerly. Did you get to talk, or were you merely introduced? Congratulations on five years of promoting a very important message. There was a time that wildflowers were something you looked up in a field guide while hiking. Now they need to be grown as garden plants for the very reasons you mentioned. Such wonderful pictures! Thanks for posting for those of us who currently have no flowers. I hope to post someday soon when I actually have some! Very wise words, and an instructive story about how you came to garden with wildflowers. It's a story people need to hear, as many people are still determined to grow plants not adapted to their conditions (like my neighbors with their azaleas). Interesting that there are so many wildflowers that northern Illinois has in common with middle Tennessee. Looking at the beautiful variety of ypur plantings, one would never guess you have serious soil issues. Your photos, as always, are an inspiration. Love the icy witch hazel! I so enjoyed visiting your blog and seeing all these wonderful photos. Congratulations on five years! And what a wonderful sentiment! There are things that grow natively in each of our parts of the world that would struggle somewhere else. I love finding new wildflowers in my yard or woods - nature knows what it's doing! Oh that really did warm my heart to see your garden all alive and blooming! I'm starting to lose hope that spring every will return at this point. How lovely your wildflowers are Gail. Keep doing what you're doing! 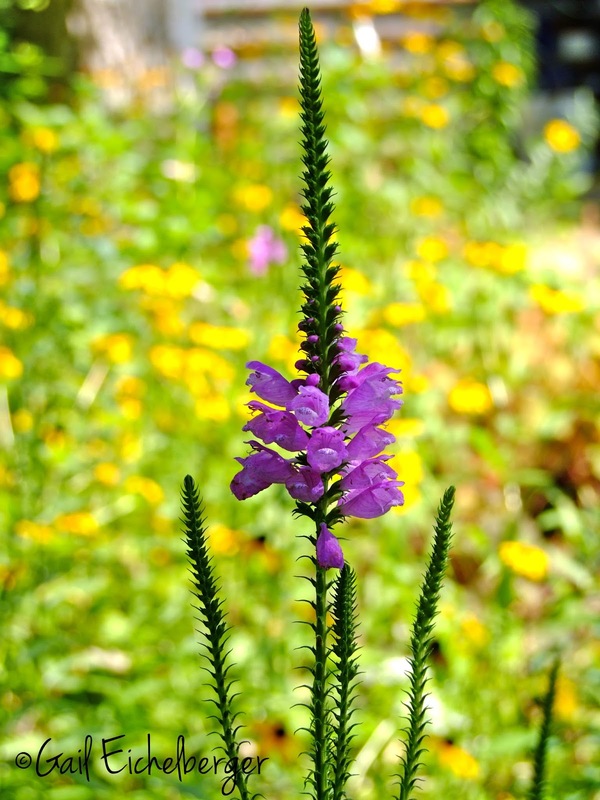 Thanks for sharing your story of how you became fascinated with native flowers. It's interesting to me that often gardeners get into gardening based on elaborate flowers first, usually roses or something equally splashy, then evolve to find natives later on. I celebrate not just five years Wildflower Wednesday, but mainly our growth as gardeners to make this happen!